That's awesome! Too funny. It's great advertising on their part since cheese can send some folks to the bathroom. What better place to put the calendar!?! I would most certainly go out and buy the same wheel of fromage, especially if the cheese is going to make me look and feel as good as it does "Emma". Take care. My husband saw this up on my computer & asked me where he could get one too. LOL. Love it! I need to get your carnet des bonnes adresses à Paris. Je suis la aujourd'hui et demain si on peut se voir. LOL! 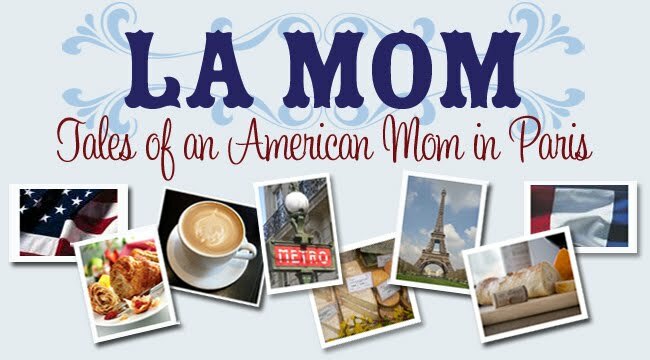 La Mom, I wish I had seen this while living in France. It's so quintessentially French it's mind-blowing. I wonder if there's a fondue month? That is one of the funniest things I've seen in a long time! Okay, thisi s hilarious... I'm tempted to buy one for my husband (le gourmand) for Christmas this year!! !